Luckily the days of jamming your buds in a bowl and burning them are going the way of the dinosaur. Although using your fingers works occasionally, the right tool simply makes everything that much easier and cleaner. The herb grinder makes the best of your smoking experience because it is more economical, makes rolling simple, and the smoke is smoother. The only issue that you have is choosing the best herb grinders, something this list of the 5 best herb grinders will make short work of. This quality grinder has a window lid with a magnetic closure that keeps your herb safe and ensures no spills. This grinder has a ergonomic grip and diamond shaped teeth for a clean cut compared to plastic teeth. Available in a variety of colors and sold in a beautiful gift box, this has been a consistent top-rated herb grinder year after year. 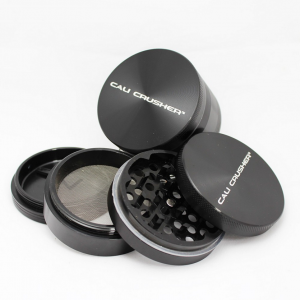 Cali Crusher continues to be a leader in the herb grinder market, and this made in the USA grinder is no different. Made from ultrasonically cleansed medical grade aluminum, it has radial cutting blades for fluffing and crushing your herb complete with magnets for superior closure. 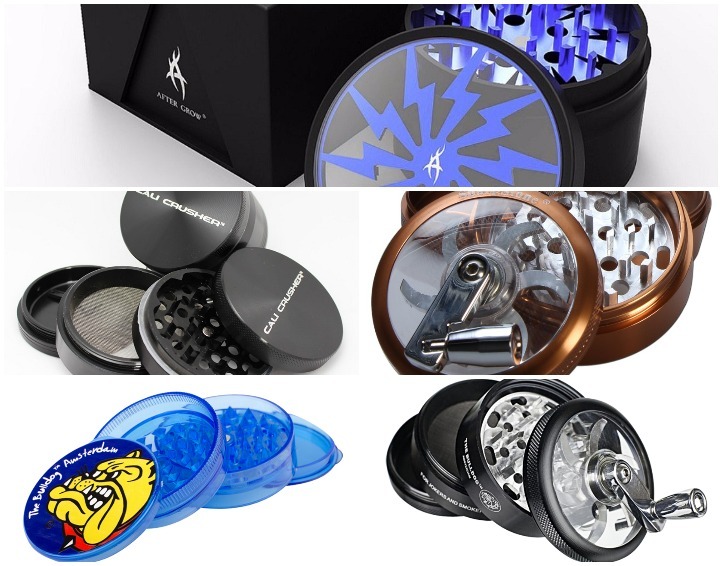 The grinder comes with a removable stainless steel screen and available in seven unique colors. It comes with a unique feature called the 4-way Quick-Lock, basically eliminating cross-threading and jammed grinders. This Sharp Stone cranking herb grinder comes complete with a window lid that screws in place for keeping your stash secure. The diamond-shaped teeth make short work of grinding to a fluffy and clean mix. The grinder is made from durable metal with a crank assemble that comes apart for easy cleaning. The pollen screen helps to catch bits of your plant material while it allows savory dust to collect in the bottom section of the grinder. From there, the dust can be easily brushed away and reused. 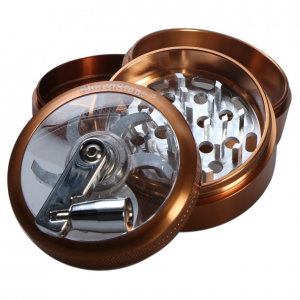 This durable grinder comes with a protective carry-all drawstring pouch, and you can choose from four different colors. This affordable plastic grinder is perfect for carrying with you in the backpack and utilizing at your next party with friends. 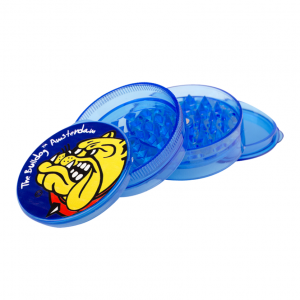 The advantages to this little plastic herb grinder are numerous, from its affordable price, easy ability to clean, the decorated lid, light-weight capability, magnetic closure, and diamond teeth. This three-piece plastic grinder does not fall apart during use, and will break up your plant material into a light fluffy texture. The herb grinder has a small stash box under the lid for storing any leftover buds you want to utilize at another time. This compartment can also hold your papers and tips. Choose from a large variety of striking colors for your new herb box. This durable 4-part grinder comes with a crank arm and metal construction, and is extremely easy to clean. The swing arm construction and sharp teeth will easily chop up your bugs and give you some clean cut material to use effortlessly. The crank arm sits on the transparent lid and when turned will spin the disc grinders to break up your buds into a beautiful consistency. The construction of this metal grinder is flawless, all screwed together seamlessly creating a tighter and smooth seal. The see-through lid acts like a window into this grinder, allowing you to see what is happening inside the grinder. This metal grinder comes with grips on the lid rim for extra control and comes with a pollen screen for building up and then storing that precious powder. This grinder has extremely sharp diamond-cut teeth that are positioned to break-up and grind your herb into a fluffy mixture. Now that you have more information about the 5 best herb grinders currently available, you have everything you need to make an educated buying decision. Whether you want a reliable grinder for use at home or something durable for taking it on road trips, you have plenty of excellent choices available to you. 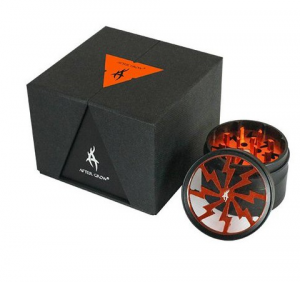 Each herb grinder is capable of chopping your buds into a fine mixture for rolling and packing when you need it fast. 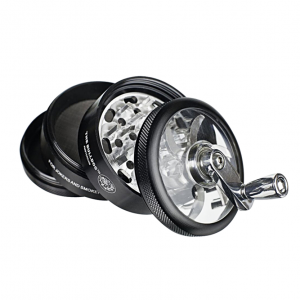 These grinders are affordable and will give you years of enjoyable smoking experiences. Brad Pitt’s Career and His Smoking Habits – Did Weed Cause Actor’s Divorce?